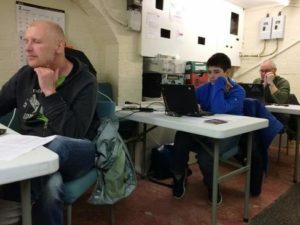 wythall radio club | 100% success in Wythall Radio Club course! Wythall Radio Club trainees achieved 100% success in their Foundation Amateur Radio licence assessments last month. 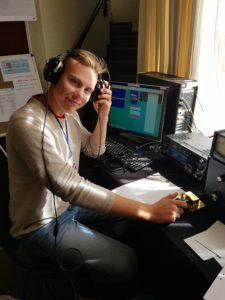 Ten budding radio amateurs – including 13 year old Adrian – studied Wythall Club’s online Foundation course. The students then took a practical assessment. This is to show they have the basic competence to operate a low power amateur radio station and know how to make contacts with other amateurs ‘on air’. 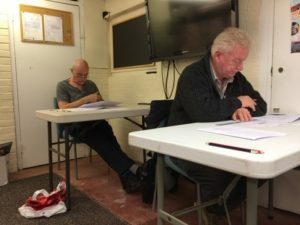 Our trainees can now apply for their brand new amateur radio licences – so congratulations to (plus new callsigns): Adrian , Robert, Ian (M7ENH), Bob (M7TBC), Tony (M7MAX), Tainia (M7TOC), Greg (M7GWM), Andy, Garry (M7VEN) and Allen (M7ALN). The photos below show, left to right, Robert, Adrian, and Ian, and Bob and Tony, all concentrating hard during their assessment. Foundation licence holders can operate on most amateur radio bands using low power. The next steps are to Intermediate licence and then the Full licence, which gives a wider range of privileges. The Wythall Radio Club team who guided the students to success is: Chris G0EYO, Peter G4LWF, John G4OJL and Roger M0GWM. 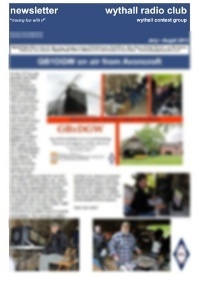 More information on our training programme here. ← Farewell West Midlands – Hello West Africa!